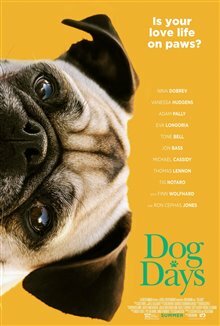 The story of several people in Los Angeles who are brought together by their lovable canine companions. A TV show host (Nina Dobrev) is so worried about her depressed dog Sam that she brings him to see a therapist, who suggests Sam needs to meet other dogs. 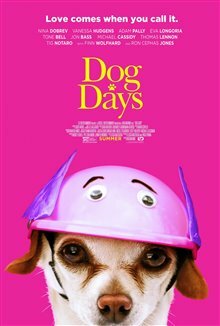 Barista Tara (Vanessa Hudgens) finds a little dog behind the cafe where she works and immediately falls in love with her. When she brings the dog to the New Tricks Dog Rescue sanctuary, where Garrett (Jon Bass) works, she offers to volunteer. A short time after, Garrett finds out the building is about to be sold, so Tara suggests holding a fundraiser. 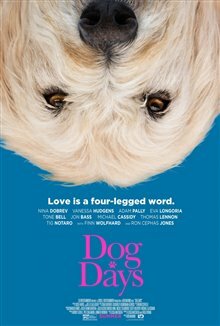 A pregnant woman has to go to the hospital and entrusts the care of her dog Charlie to her brother Dax (Adam Pally), who lives in a building that doesn't allow pets. He puts the dog in a big solid box to sneak him in, but when Tara, who lives in the same building, sees the box move, she thinks Dax has trapped someone inside. 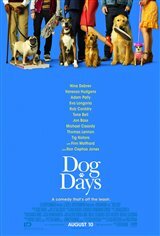 When a man's (Ron Cephas Jones) dog Mabel runs away and gets lost, pizza delivery boy Tyler (Finn Wolfhard) feels responsible and offers to help find her. Canadian Connection: Actor Finn Wolfhard was born in Vancouver, British Columbia. "Family-friendly fun flick sure to produce that speck of dust in your eye. No, I wasn't crying." "I just loved this Movie and I am a cat owner. Dog owners must watch." "I loved this movie. 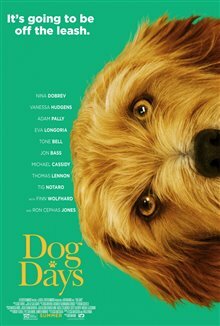 Any dog lover would love the.movie. the dogs just acted like dogs. Story was just funny, happy, and sad enough. I would definitely recommend it."